Running a small business is a big undertaking. You have to get all of your marketing just right. When the sales begin to roll in, you must give your undivided attention to each customer. Otherwise, the unhappy customer can begin to spread negative messages about your company, which can make it hard to build a customer base. At some point, business will be going so well that you might have to hire additional help. When you take on employees, there will be the usual concerns about payroll, but you will also wonder what type of insurance you will need to carry. In this piece, we consider whether you will need it. Each regional government establishes its own criteria for workers compensation. The gist of this kind of coverage is that you will purchase an insurance policy to protect employees. You may be required to carry minimum insurance coverage for each employee and for each event. Remember, a workplace accident can involve injuries, illness, or death to more than one person. We often get the question: How does workers compensation work for employers? This is complex. At a minimum, you are purchasing insurance to cover the employee’s medical bills and lost wages. 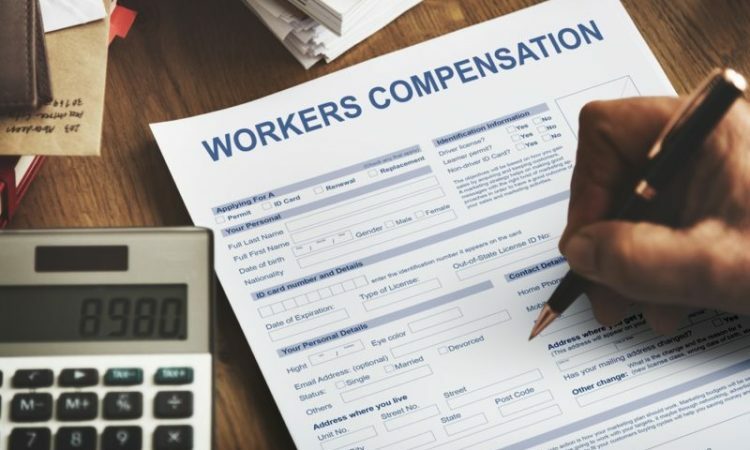 The typical insurance company will assign an adjuster to oversee the injured worker’s case and there will be an approval process that your worker must go through for all WC doctor appointments, diagnostic services, treatments, prescriptions, and reimbursements for missed time from work. If you do your duty as an employer and take out workers comp insurance, then your re protecting yourself and the company from potential lawsuits. Under workers comp law, the employee has certain rights to seek damages for his or her injuries and changed earning capacity. However, this is governed by a statute of limitations. The employee also has to keep seeing a workers comp doctor on a regular basis to remain eligible for lifelong benefits. With workers comp, there is a limit to how much the employee can sue your company for. If you take on employees, then you become a business that is at risk for workers to commit workers comp insurance fraud. You can address the risk for this by purchasing coverage, posting the information where employees can see it, encouraging them to report a claim if they are injured, and implementing appropriate health and safety protocols in the business. Employees may try to make claims that they were hurt at work but what they really need is to get medical treatment (i.e. to see a doctor and get pain medication) or have a surgery covered by the employer. This could be because they were injured in the past but did not report the claim to a previous employer or did not have health insurance to cover the costs of treatment. Workers comp fraud is illegal and requires a careful investigation by the third-party carrier. You have to treat all employee reports of injuries and illness seriously and refer them to the workers comp doctor. Otherwise, you aren’t following through on your obligation as an employer. Let employees engage in the most common mistakes people make with workcover claims while protecting your company. It will all come out in the end. In many states and regions, there is a minimum number of employees that you must have either full-time or part-time on the payroll to necessitate this coverage. However, you can seek coverage that exceeds the minimum requirements of the law. Purchase workers comp insurance not only to demonstrate compliance with the law but also to protect employees. If they have to go to your third-party insurance company to get all of their treatment and claims processed, even lost wage reimbursements, this is less work for you Meanwhile, you have the peace of mind that you covered them while they were performing work tasks for your business. After they are injured, employees may wish to seek a recovery for their injuries. If their injury is severe enough, they may desire payment for future lost wages and medical bills. This may necessitate hiring a firm of specialized workplace injury lawyers. In this event, all communications regarding the processing of medical bills and lost wages will go through their attorney’s office. However, your workers comp carrier will have its own lawyers that will represent you in the event that the employee tries to sue for a workplace injury settlement. P.S. I’m grateful to Riya for providing this material. Riya is an inspired writer, passionate about traveling, lifestyle and encouraging startups. With spending her years in business administration, she understands the importance of productivity at work. Riya never stopped finding new ways to create her work productivity. You can follow Riya on Twitter.